Kai Du is an Assistant Professor at Penn State University. His research focuses on financial accounting, disclosure, and information acquisition. Kai received a PhD in accounting from Yale. He was a Deloitte Foundation Doctoral Fellow, a Harry and Heesun You Fellow at Yale, and a Financial Accounting Standards Board (FASB) Faculty Fellow. Kai's recent research focuses on an empirical investigation of information acquisition by various economic agents. He is also interested in providing new explanations on the relationship between accounting information and stock returns. He also has research interests in auditing and sustainability reporting. Theory and practice issues in income concepts and value measurement; GAAP; revenues, costs, assets, liabilities, and equities. Du K., Wu S., "Does External Assurance Enhance the Credibility of CSR Reports? Evidence from CSR-related Misconduct Events in Taiwan." Auditing: A Journal of Practice & Theory, 2019. 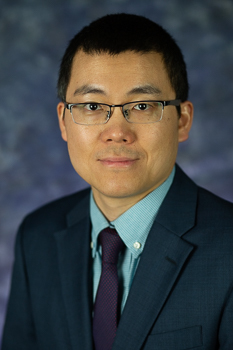 Du K., Zhang F., "Orphans Deserve Attention: Financial Reporting in the Missing Months When Corporations Change Fiscal Year." The Accounting Review, vol. 88, no. 3, 2013, pp. 945-975. Du K., "Investor Expectations, Earnings Management, and Asset Prices." Journal of Economic Dynamics & Control (conditionally accepted).